On a recent rain-filled weekend weekend, we did something completely out of character: nothing. No agenda. Just bits and pieces of things, and lots of laziness. Well, mostly. 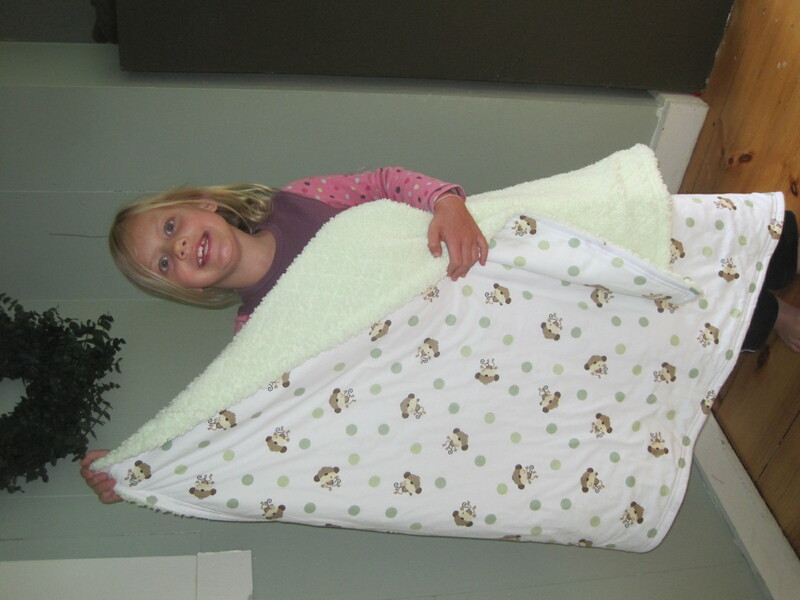 Both of the kids adore their teachers, and since both of those teachers are expecting their first babies we thought homemade baby blankets would be the perfect end-of-the-year gift. 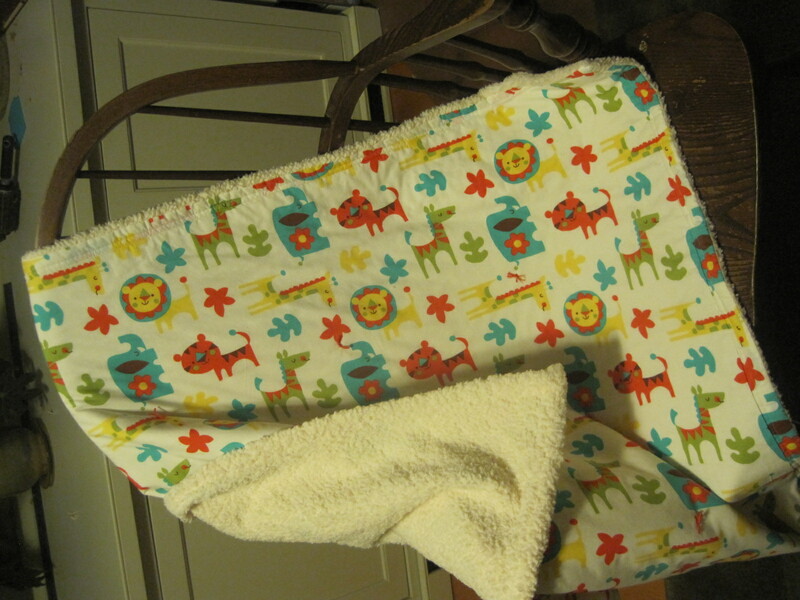 We picked out fabric last week, including a cotton quilting fabric for one side and a fuzzy minkee for the other. 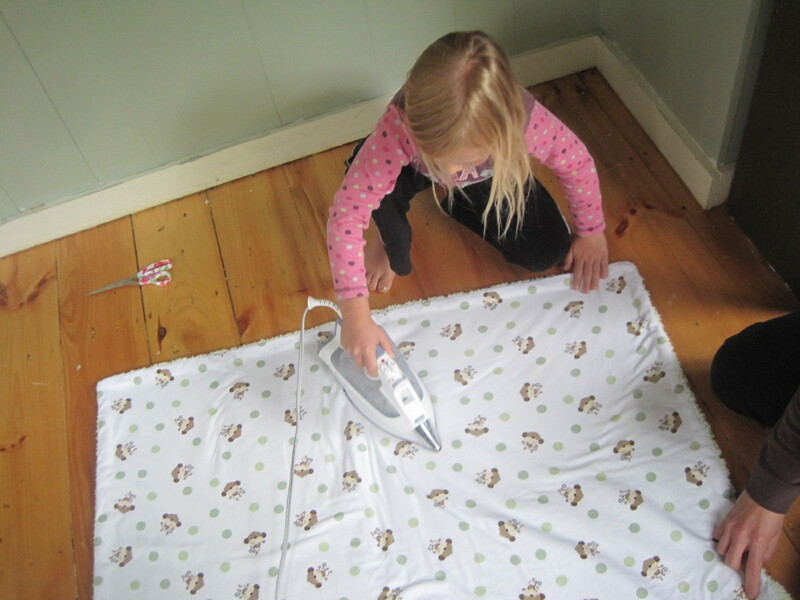 We used this simple snuggly baby blanket tutorial. 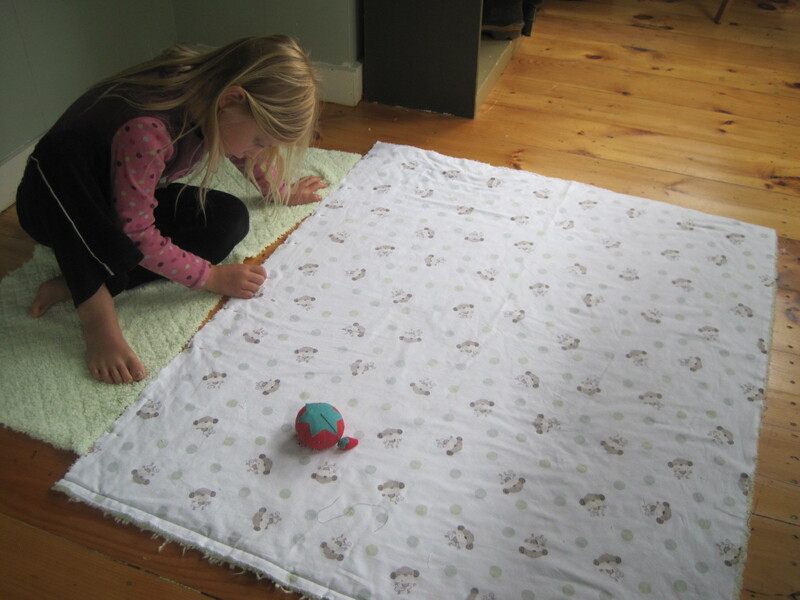 Both kids helped out, little Miss A with cutting, pinning, and sewing, and all-boy Z testing his leaping skills across the width of the blanket. I think he sewed with me for at least 45 seconds, too. I love this simple pattern and wish I had discovered it seven years ago! This is so inspiring, Jane. You actually make me feel like dusting off my old singer and firing it up…. i love it! so simple, especially after my first quilt attempt about a year ago.